We are tied for the 8th best record in the conference. Both our conference and overall record put us there. Facts are facts. At what point does overall record play into tie breakers? I don't have to boycott and trash every single thing about UA just because I believe they are making a personnel mistake. Given the past few years, I've gotten very good at this "I support them, despite..." skill actually. 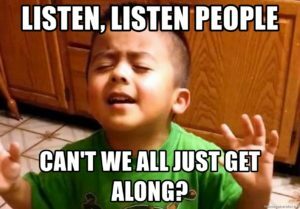 Pretty much this. Let us not forget Bert had some big wins on the road as well. Winning one game is a good thing, we just need to see more of it. Its not like the people here hate Mike Anderson. Most of the fan base loves the guy and we would love for him to have a monster run in the NCAA tourney. Anyone who has ever been a manager, be it sports, business, or the military, has had someone they are supervising who is a great person and a real joy to be around... and who isn't getting the job done as well as they should. You give them second chances, you work with them, you hope they turn the corner... but eventually you have to left them go for the good of the organization if they don't improve. After 8 years we need to see something more then "he's a really great guy" from Mike Anderson. 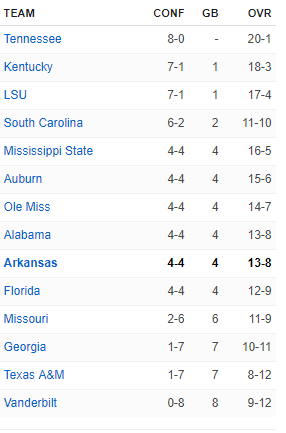 The good news is that Arkansas has a chance to finish the season strong. The SEC is not so good this year and we could pile up several more regular season wins and possibly knock off a team or two in the SEC Tourney. If we do that we make the NCAAs. Yes, this is Mike Anderson's youngest team but this is his shot to turn around the season and quiet the discontent. During the season on every major publication that keeps track of standings. That includes ESPN, the conference website, and the NCAA website. You knew this before you asked the question. i am hopeful that mike turns this thing around, but if he still only wins 5 more games from here this one win won't be enough when the total body of work is examined. If he does turn it around here, and does something spectacular it will be his best coaching job yet. 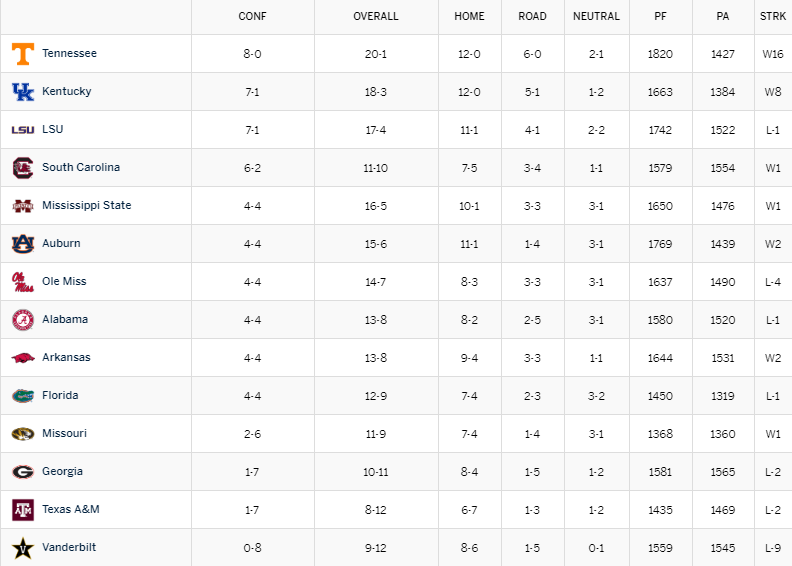 Here's the conference standings from the exact same website you just linked from, the conference's website. Care to tell me how they ranked the teams in the conference standings? It's right in front of you. Twice.